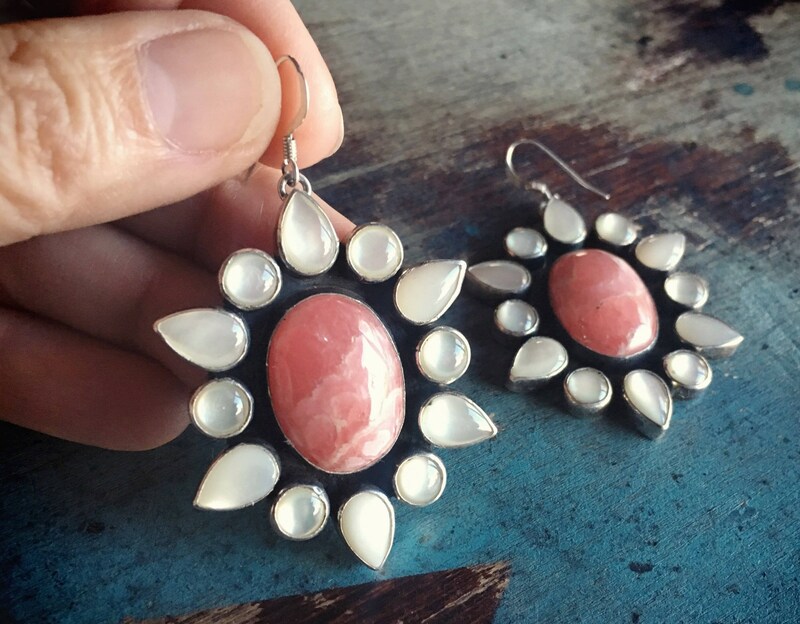 These large and unique earrings feature the gemstone Rhodochrosite, Colorado's "state mineral," named as such for the now closed mine that produced heavily in the 1990s. The striated pink cabochon is surrounded by twelve smaller cabs of Moonstone, alternating between round and teardrop shapes. The round stones are slightly more clear than the teardrop shaped ones, which adds an interesting effect. The combination with the Rhodochrosite is striking, and both are considered healing stones. 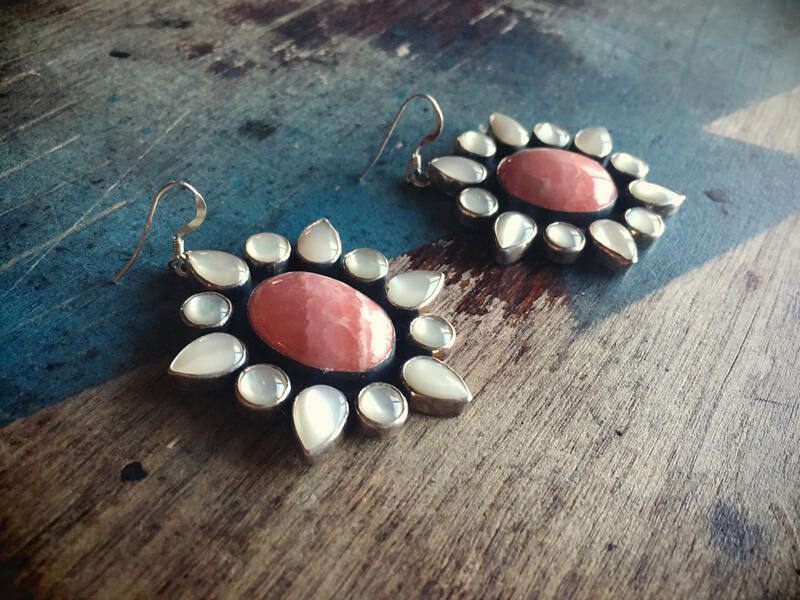 Rhodochrosite is said to stimulate lovve and passion, opening the heart, lifting depression, and promoting a positive outlook. 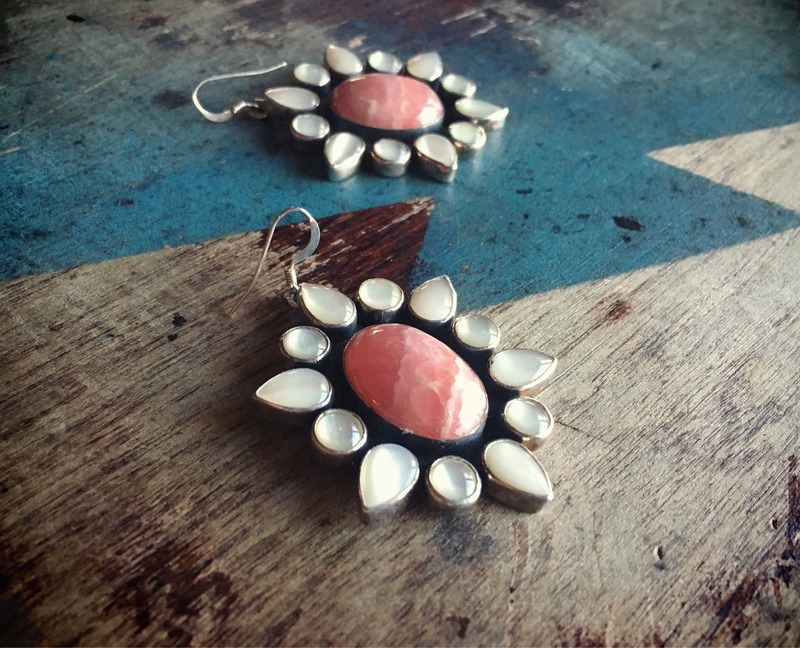 Moonstone is said to promote inner strength, soothes emotional instability and stress, and enhance intuition. 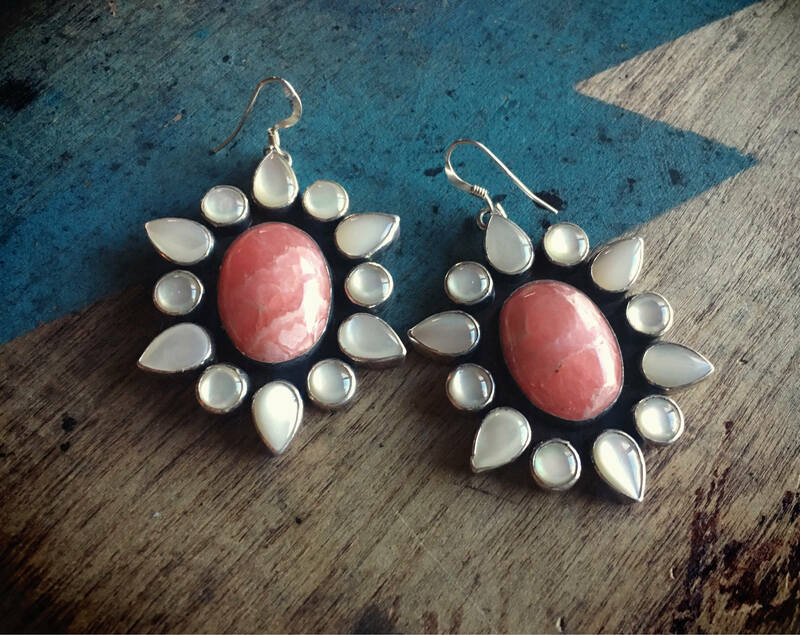 And the stones together look perfect for spring or summer. The earrings have some weight, and so if your ears are sensitive to heavier earrings, I would not recommend these. But it you want a very special pair of earrings in a hard-to-find color combination, these are stunners that will garner many compliments. 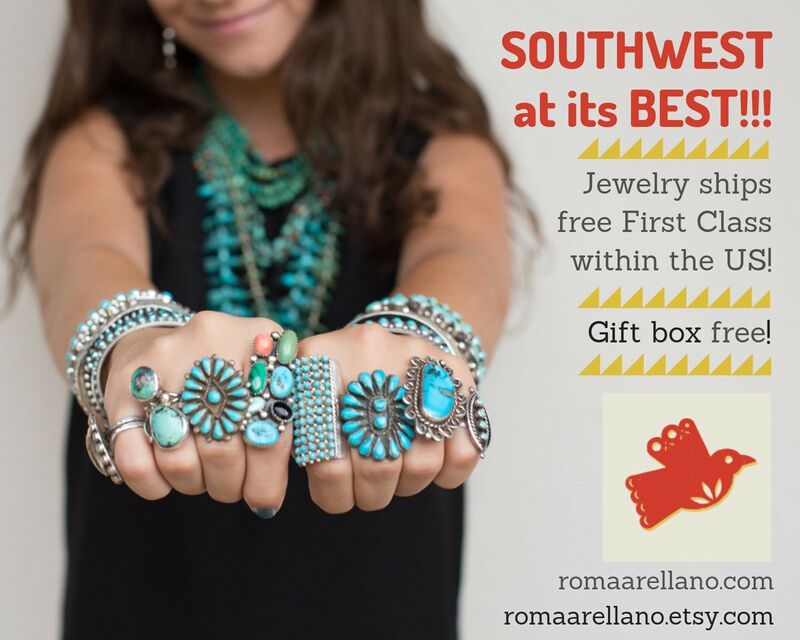 Carry the hallmark RP for Navajo silversmith Ramone Platero, who hails from a well-know silversmithing family. 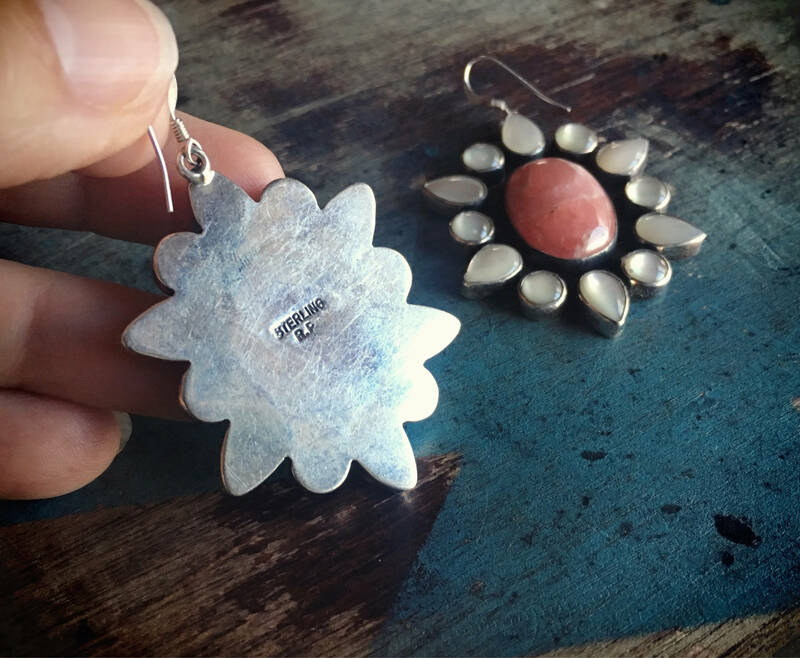 Each earring measures 1-7/8" long by 1-3/8" across at the widest point. Stamped STERLING. Some scratches on the back silver but otherwise in good condition. 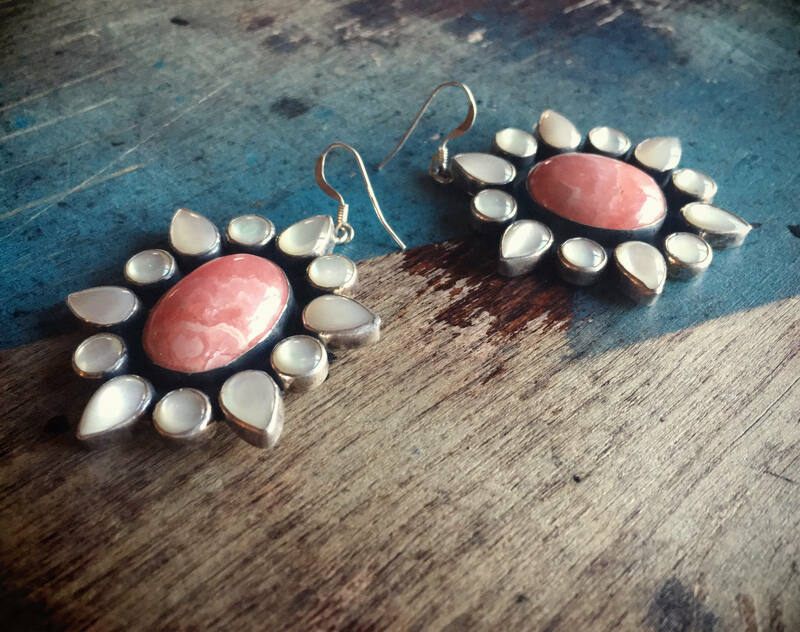 Stunning flowers that you can wear.